These flags are made from 100% Nylon material! They will hold up MUCH longer than the poly-cotton flags being sold out there! 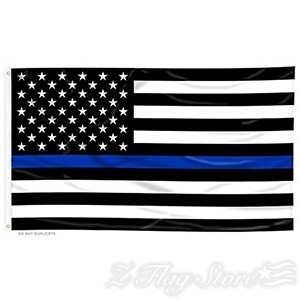 They are 100% AMERICAN MADE and honor our Law Enforcement!